Manchester United lost their first leg match against Barcelona in UEFA Champions League quarterfinals. It was 1-0 for the Spanish side in a match where Ole Gunnar Solskjaer could see some positives, although, he could also see why this team is limited when it comes to results across a full season and why spending is necessary this summer in order to mount a real challenge on any of the trophies. After looking more closely at the numbers, we also noted these things. To start things off, we should mention Romelu Lukaku. It was always going to be tough for him against a side that keeps so much ball and especially as only Marouane Fellaini has scored in Champions League at Old Trafford of all Man United players this season. Man United are not creating much at home in Europe and it was a similar story in this match too. Romelu Lukaku had just 20 touches of the ball, usually playing quickly, as he had 19 passes in this match, but that was somewhat expected. Barcelona are a really good team and Lukaku’s movements to the flanks did not offer much. He made just three touches in Barcelona’s box, neither of them in situations when he could have done something more for his teammates. Manchester United were, a bit surprisingly, really good in defensive areas, especially those central areas. After conceding a Luke Shaw own-goal, the team started playing with more courage and that was something we wanted to see from the team if a goal was conceded in our pre-match article. And that is exactly what happened and from then on, Barca really could not get past the narrow defensive block. They made 16 touches in United’s box, but there were always plenty of defenders behind the ball and the positions Blaugrana took were not as good as they are used to. 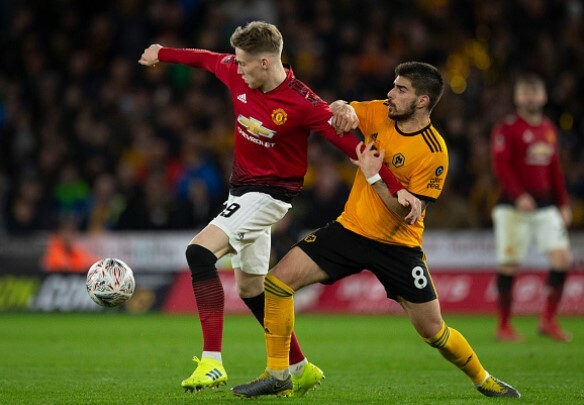 Scott McTominay was heavily praised after the game and for a good reason. The midfielder had a really good game in which he showed his qualities on the ball. McTominay was oozing confidence when in possession, never trying to do to much, but always offering safety. He made four successful dribbles in the match, three of them in final third of the pitch and he made sure the ball stayed in Man United’s possession. Ivan Rakitic, on the other hand, once again that player nobody talks about for no particular reason. Usually it is Lionel Messi or Luis Suarez taking all the headlines – and we all know very well why – but that does not mean we cannot appreciate the Croatian midfielder. He had exactly 100 touches of the ball in this match, which is not as important, as how distributed they were. Rakitic was left, Rakitic was right, but he was also up and down. He is Ernesto Valverde’s soldier – a very technical and smooth one, we must note – and he does everything the coach asks him. If that is to control the game from every corner of the pitch, Rakitic can do it and he will. As he did at Old Trafford.